Great Rotary morning meeting January 31st at the Grenadier Restaurant in High Park. 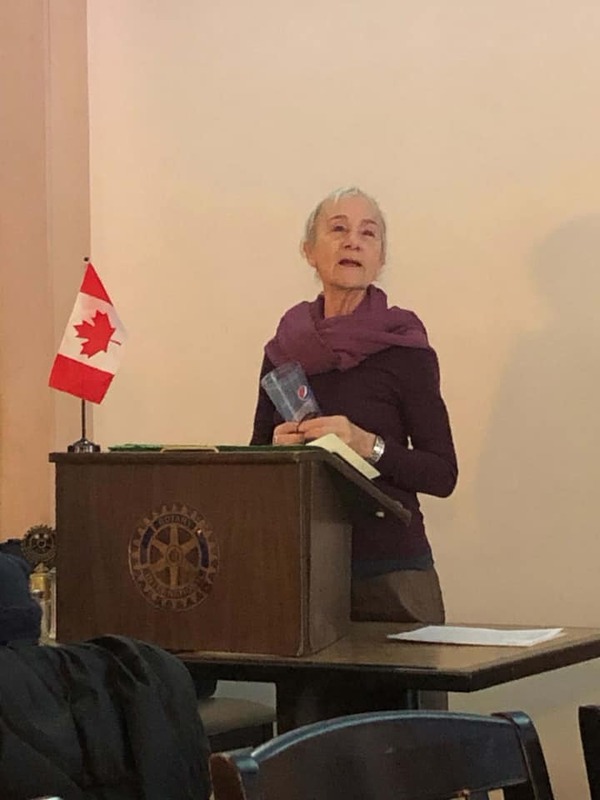 It may have been frrrrreeeezzzzing out there but it was warm and cozy at our Rotary Club of Parkdale High Park Humber meeting. We had the great pleasure to welcome Pia Bouman of the Pia Bouman School for Ballet and Creative Movement right here in our neighbourhood of Parkdale. Pia gave us an impassioned speech about the good work of bringing the dancing arts to children and adults of Parkdale, the importance of the arts in our communities and as fundamental building block in young peoples lives. Many families are not able to afford to pay for the classes but are still able to attend through the bursary programs that are at the heart and soul of Pia Bouman's life work. Pia is facing a real estate challenge, in that the building of her school has been sold and she needs to find a new home in the hood. Some great brainstorming happened after our meeting. Such an inspiring morning! In December the Rotary Club of Parkdale - High Park - Humber donated $3,000 to the Pia Bouman School for Ballet and Creative Movement.